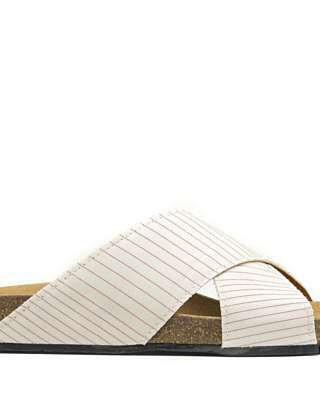 Women's vegan sandal made of recycled airbag and recycled car tires, with two crossed straps. Sizing: Regular shape, please choose your usual size. Lining: Breathable and anti-allergy microfiber. Ecological, CO2 free menufacturing system. 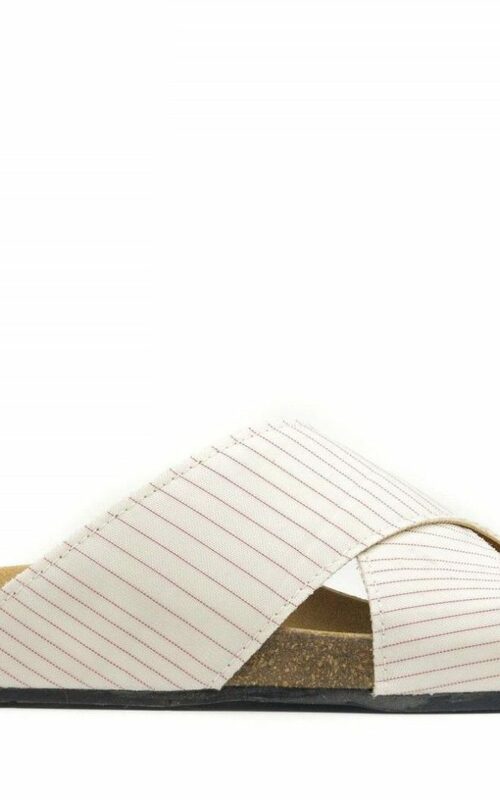 Slipsole: Cork and natural latex. Attention: The model presented in this photo may not be exactly the same as the one purchased and the colors may suffer minor changes because it is a recycled item.